What comes to mind when I say ‘Boeing’? Planes right? It goes without question that they are the most famous Airplane Company to date. Yet, as well as manufacturing commercial airplanes, so that David and Sandra can take the kids on holiday to Disneyland, Boeing profits extensively from other means. The company was originally established as ‘Pacific Aero Products Co’ on July 15, 1916, in Seattle Washington by William E Boeing. It wasn’t until May 1917 that the company was incorporated as ‘Boeing Airplane Company’. That same year the USA had entered WW1 and the Yale graduate, by manufacturing and selling seaplanes to the American Navy, was quick to profit from the devastating war that would go onto to claim 17 million lives. 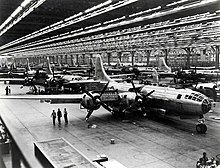 Boeing continued to profit as WW2 dawned on the world by supplying B17 and B29 bombers to the government. Since its early origins Boeing has grown exponentially to become one of the world’s richest companies, with a recorded $90.78 billion in sales in 2014 and being ranked 27th on the Fortune 500 list in 2015. Yet a large proportion of its revenue is generated by its subdivision Boeing Defence, Space, and Security; the figure was almost half in 2011. This division is responsible for the manufacturing of bomber aircraft, attack helicopters, fighter jets, drones, missiles and satellite systems to guide the missiles. In 2015, the company was ranked the 27th World’s most admired company. Are people celebrating the notion of war and conflict? Or are they just oblivious to Boeing’s other means of generating income? My faith in humanity permits the latter….. but only just. There are, however, those who are aware of Boeing’s starring role in the theater of war and seek to change it. In July 2014, there was a nationwide call-in-campaign demanding the cessation of weapons sales to Israel. Weapons which facilitated the deaths of 1300 Palestinians in 2008/09 and 2200 in 2014; mostly civilians. The actions of Israel were condemned by NGOs and humanitarian organisations such as Amnesty International and Human Rights Watch, and were only made viable due to Boeing’s supply of military technology and American arms deals, a figure that reached 2 billion this year. A report by Amnesty International showed that the bombings which caused the most casualties in Gaza came from Boeing’s laser guided, one-ton bombs, the MK-84/GBU-31. Israel is purchasing 10,000 of these smart bomb kits. This year several members of the Anti-War Committee (AWC) of Chicago purchased shares in Boeing in order to bring a resolution before the stockholders demanding transparency and a risk analysis of sales to Israel. The AWC protest outside the Chicago HQ every year at the annual stockholder’s meeting hoping to bring awareness to Boeing’s engagement in armament production. The titan also enjoys a wealth of political influence, exerting a sum of 13.2 million in lobbying. In 2013, this lobbying contributed to a severe infringement of people’s rights. The aircraft manufacturing giant helped defeat a proposal in Washington USA that would have forced government agencies to get approval to buy drones and obtain permission before using them to conduct surveillance on individuals. So next time you board a Boeing airplane on your next holiday, keep in mind that companies such as Boeing are founded upon a history of profiting from war and continue to do so, yet go unnoticed due to complicated company frameworks and diversification.